I feel like I've gotten to a point where I'm happy with most of the things in my closet and the outfits I'm able to put together but let's be real - the clothes are only part of a look; and if I'm being completely honest they tend to be the easiest part. My hair typically takes the longest between drying and sometimes curling but I have a pretty solid routine there but the makeup well . . . let's just say I tend to be a creature of habit but sometimes it makes me hang onto things long after they are still working for me. 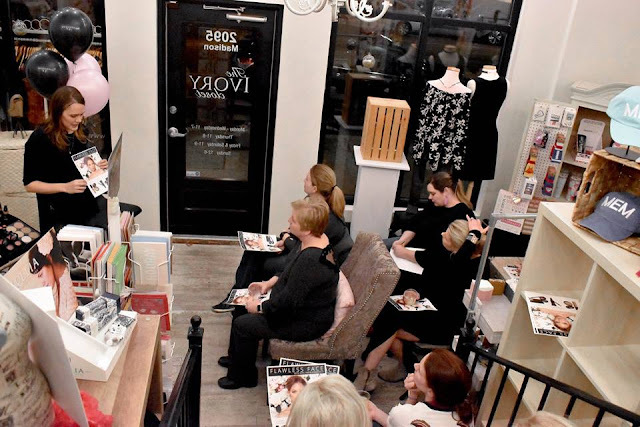 So, when I saw a makeup class / girls night event at one of my favorite local boutiques and run by one of my favorite local bloggers (Alexandra Nicole of City Chic Living) I signed up. Honestly, I expected to just watch and take a few mental notes but quickly into the session I realized Alexandra was going to be throwing out a lot of good tips and tricks and I needed to get out the pen and paper. Y'all - I took soooooo many notes in less than an hour that I had to turn my page sideways and start writing in the margins. This particular session was about getting a flawless face but Alexandra did a full look on the volunteer model and gave some good finishing techniques. 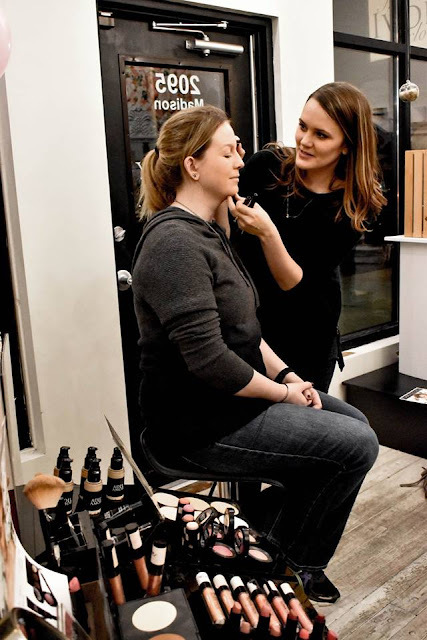 One thing that she really helped emphasize for me is that you have to start with your skin in a good condition if you want you makeup to look good. I exfoliate on a regular basis and moisturize daily but I'm guilty of ignoring my eye area and I haven't found a good serum I like - both of which Alexandra talked about being an important part of getting your skin right. Since taking this session I've been doing a better job of remembering to wear moisturizer not only in the morning but night as well and using the serum and eye cream I had just sitting in my drawer that I foolishly wasn't using. I don't think it would be fair to Alexandra if I gave y'all a full breakdown of everything she taught - plus this post would go on forever if I did but some of the things covered were the right order to apply concealer, foundation and setting powder (I was doing it wrong y'all!) 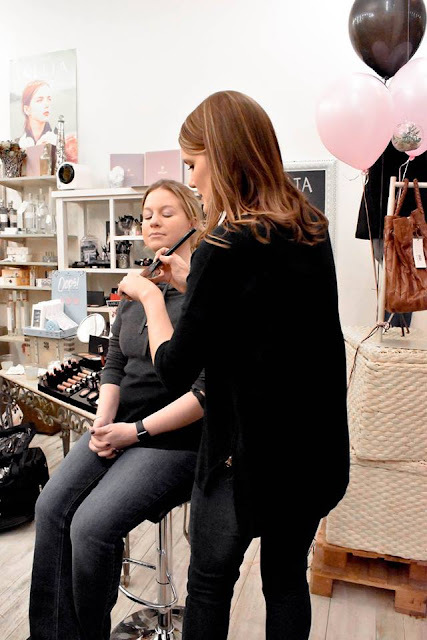 , where to apply concealer (not just under the eyes) and how to use blush , bronzer and contour without looking like a drag queen - I mean I love drag queens but that's not the makeup look one wears to work in an office. After attending I feel like my own makeup application has significantly improved and I'm very pleased with the look I'm able to achieve on a regular basis without spending more time or putting more products on my face.